Took about 8 hours to get from Cocoa Beach down the ICW to Vero Beach. 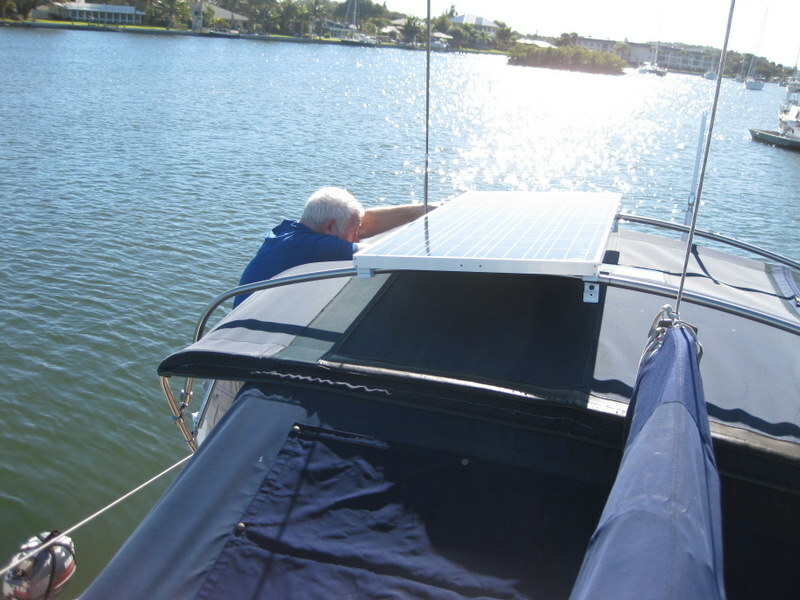 We are at the Vero Beach City Marina – on a mooring buoy. 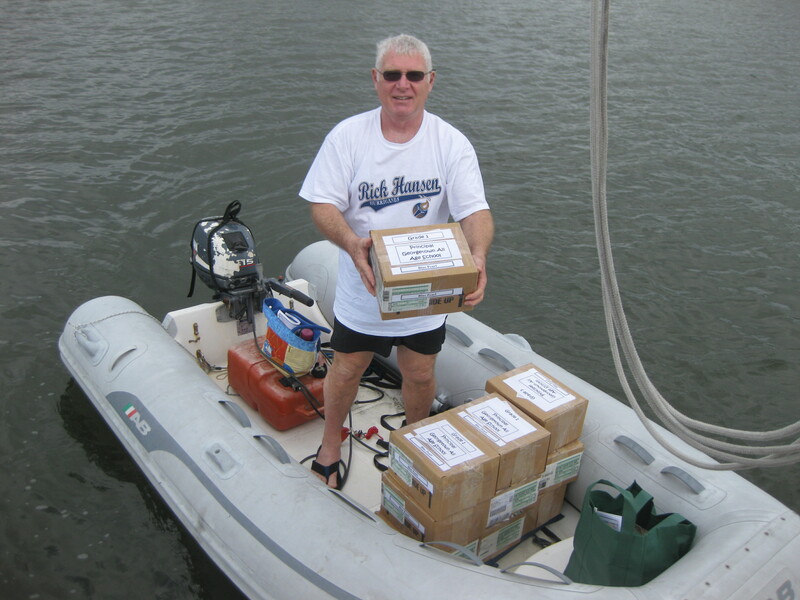 Found that the school supplies that we had volunteered to deliver to the Bahamas were here. Had a look at the facilities – not bad – showers, laundry, boaters’ lounge with book exchange. They were having a social but we had neither wine nor cheese so we elected not to join them. Saw several guitars, mandolins, etc. Went for a long walk along the beach road – high class stores with expensive clothes. Bought Glen a pair of shorts off a clearance rack. The weather is not great – windy and muggy. We will stay here for a few days. Not needed in Abbotsford schools!!! Get the solar panels running and do our next to final provisioning. We listen to people on the Cruisehiemers Net – on Single Side Band radio. Lots all around the Caribbean, the Bahamas and in Florida. There are several boats in here – waiting to resolve their own circumstances to get ready to head south. Endaxi caught up with us today. They were our neighbours in Brunswick, Georgia and left there the day after us. Rented a car. 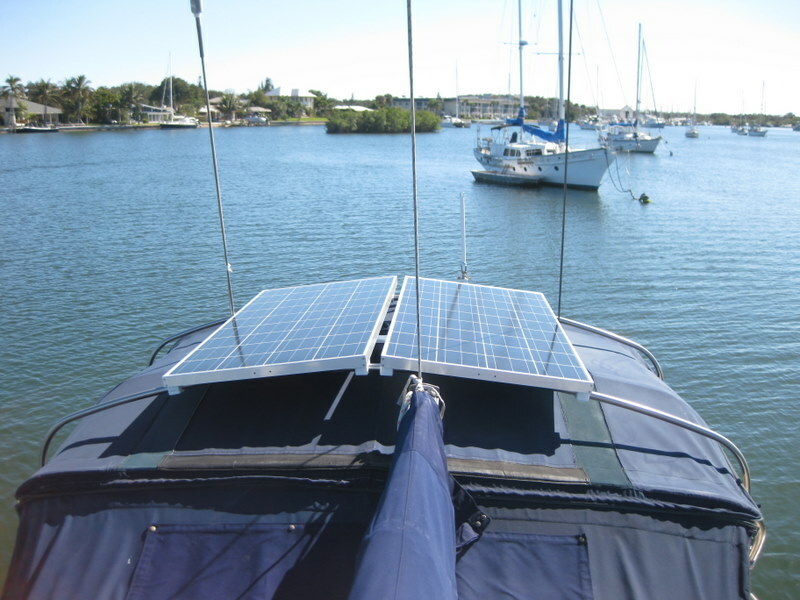 Left this morning for Ft. Lauderdale and Miami to pick up a water gauge and solar panels. Took 2 hours of driving each way but the day was a success even though one of the places isn’t open on Mondays but someone answered the phone so we went anyway. Found a “Total Wines” store and a Costco so we are loaded and ready. It was a long day. Transferred a dingy load of goodies to the boat in the dark. Tomorrow we will hang out. Pam will find cubby holes for all the good stuff we bought and Glen will install the solar panels. We have had some battery problems. We noticed that the batteries were low – even after so much motoring. Glen was concerned that the alternator was defective – but this morning he checked the belt and found it to be very loose. Tightened the belt, started the engine and we could hear the change in the engine tempo as the alternator started to charge the batteries. We’re not happy using the engine to charge. That should be the job of the solar panels, a wind charger or a separate generator. But we have steaks to keep frozen so we are running the engine to top up the batteries. Tomorrow, hopefully, the panels will kick in and take over. Got up early and set about installing the solar panels. By noon they were in place, and connected. Glen sat in the lazorette watching the connections where the regulator is temporarily installed while Pam pulled the cardboard off the solar panels. They immediately started providing 10+ amps to our poor starved batteries. Yayyyyyyyyy! We left the solar panels to do their work while we took off in the car to do our last (we hope) provisioning. Stopped off to look at a manatee viewing area – with the cold temperatures there are a lot of concerns about manatees, fish, etc. We saw thousands of dead fish as we travelled south. This area reports about 20 manatee deaths due to the cold spell. Got a bucket, some other junk, and $300 of meat, fruit, vegetables and booze from Publix. Pam wonders if we have too much. We might need visitors sooner than later. We have enough for 6 months. Our lockers are full and even with an excel spreadsheet we aren’t sure if we have the right things and amounts. (Truly, we have an excel spreadsheet). We will head down to Fort Pierce tomorrow. 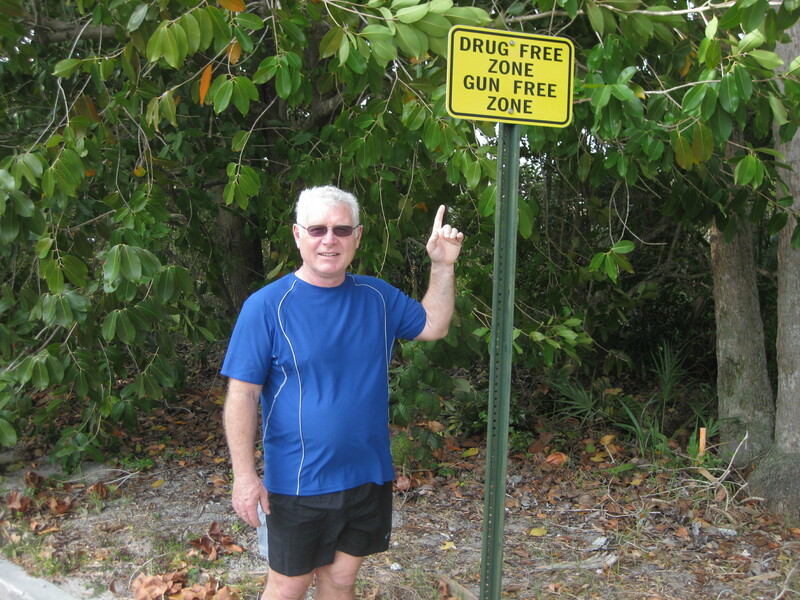 Then outside to the Lake Worth Inlet near Riviera Beach to wait for the appropriate time to cross to the Bahamas. we want to meet up w/you. Just let us know and we'll fly there...right now! Katie adds "if they even want us to come"...but I'm not so considerate. When you off to Bahamas? Saw the photos of the solar panels. That's great you got them installed without any problems!! It's exciting to be witness to the build up to the crossing. 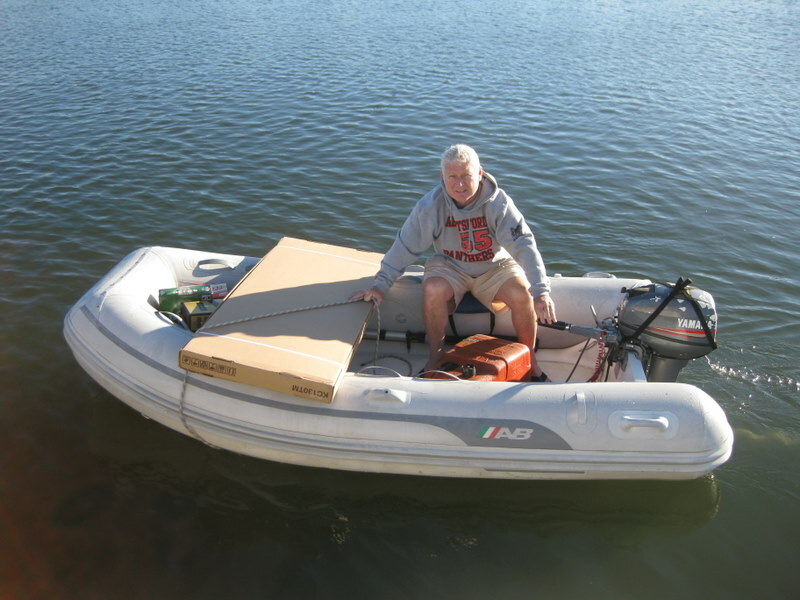 Glad to hear the boat has enough cubbyholes for the wine. Also good to hear that jeans are no longer a prerequisite. Still struggling here to get much done in the 26 degree heat but did manage a tour of La Gomera Island today. I think about you guys every day as I gaze over the horizon across the Atlantic. Stop it you 4. Solar panels and too much wine and food to store easily. Dolphins. Then European sunsets over the Atlantic. Some smucks still have to work, and cannot even fathom the adventures you describe ever so casually. Have you no concept about worker ants in the salt mines? Cheers and live for the rest of us! We say....Capt'n Chaos...mmmmm....should we wait until our dear Capt'n has a little more experience under his Captain's Hat??? ?